Should you use Helpx to find work for accommodation? You don’t have to be rolling in cash to be able to get rich travel experiences. Doing just a few hours of work in exchange for accommodation and/or food in a different country not only helps locals, it helps you immerse in your chosen country for longer. 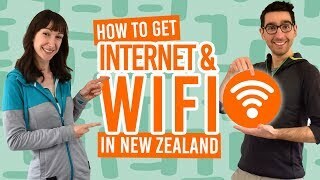 Working for accommodation or “help exchanges” are hugely popular in New Zealand, with one of the top help exchange websites being HelpX. This website connects hosts (locals) and helpers (travellers) all in one place. This guide will teach you everything you need to know about HelpX. More than 5,500 New Zealand hosts have work for accommodation and other rewards listed on HelpX. The community is huge on this platform that has been around since 2001! Plus, with a large variety of help exchange types, from farm work to boat work to homestays, HelpX is a tool definitely worth considering to help you save money and have an authentic New Zealand experience. What are the advantages and disadvantages of using HelpX to find work for accommodation in New Zealand? Variety of hosts including farms, homestays, accommodation businesses, boats and more. The website is old with basic functions in comparison to other work for accommodation websites. That being said, it’s still easy to use. There is not a strict standard for hosts compared to other work for accommodation platforms, so it’s often up to you to separate the good hosts from the bad. HelpX hosts all have different needs when it comes to the hours worked per day. It could range anywhere between 2 to 6 hours a day, usually 5 days a week. The expected work hours should be outlined in the HelpX host’s listing and reconfirmed upon arrival. It’s up to you to decide whether the amount of hours you work and the rewards you will be getting will be worth your time. The rewards, such as food and accommodation, should be no lower than the equivalent of minimum wage in New Zealand. The minimum wage in New Zealand is NZ$17.70 per hour. So for example, if you work for accommodation for two hours per day at a minimum wage of NZ$17.70, your reward must be of a minimum value of NZ$35.40. For more information, see Working for Accommodation in New Zealand: What Are Your Rights? Help exchanges can range from three days to three months, so there’s really no set duration. Usually, HelpX hosts will include how long they expect helpers to stay with them in their listing. However, if they don’t have a set time, you can usually assume a week is acceptable and see where it goes from there. Often, helpers stay with hosts longer when they have a fair exchange and good relationship. However, if you feel unsafe or are having a negative experience with your host, you have no obligation to stay. You are a volunteer, not an employee. What Visa do you need? Do you need a visa to take part in help exchanges? Yes! In New Zealand you need a work visa for any type of work in exchange for some kind of reward. In this case, the reward is accommodation and maybe food. The most common type of visa travellers get when doing help exchanges is the Working Holiday Visa. Find out more about working holiday visas for New Zealand here. Note that it is against HelpX’s terms and conditions to ask for assistance to HelpX or its hosts for obtaining a visa. 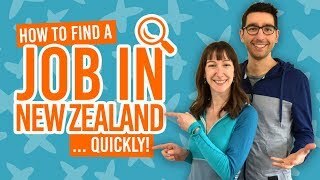 For more information on getting a visa for a work exchange, see What Visa Do You Need to WWOOF in New Zealand. Do you need travel insurance for HelpX? It is not mandatory to have travel insurance to be part of the HelpX platform. However, travel insurance is not only a requirement of a working holiday visa, but many hosts prefer helpers to have their own travel insurance. We recommend the affordable yet comprehensive travel insurance with Orbit Protect, a New Zealand-based travel insurance especially for working holidaymakers. A good HelpX host will outline the work duties in their HelpX listing and any experience that is required. However, most help exchanges require no experience. Hosts come from all walks of life. While some will be Kiwis (New Zealanders) others will be expats living in New Zealand. Some may be families with children and/or pets, while others may be retired. The great thing about the HelpX platform is the ability to read and write reviews for hosts. These are very useful in determining whether other helpers have had good experiences or not. Note that reviews are only available with a Premier membership. Accommodation can also be extremely different from host to host. Accommodation businesses, like hostels and motels, will offer you a room in their accommodation establishment (or a bed in a dorm). Other types of hosts may offer you a private room, a shared room with other helpers, or a cabin in a boat! Before starting with a host, ask the host about sleeping arrangements, for instance do you need to bring a sleeping bag? HelpX offers two types of membership: Free and Premier. While a Free membership means you create a profile and hosts can contact you, Premier memberships means you can take full advantage of the platform. Premier embers can contact hosts, use all the search options, read/write reviews, curate lists of hosts, view complete host information and photos, and contact other helpers. If you want to find hosts quickly and actively, we recommend paying for a Premier membership. (Plus, write up an awesome profile that will attract hosts with these tips). Helpers can sign up as a single male, single female, couple or two friends. The price is 20 euros (around NZ$35) for a two year Premier membership. 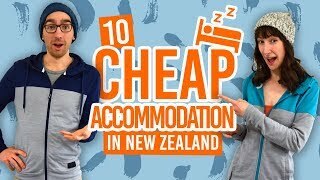 Find out more in How to Find Work for Accommodation in New Zealand.